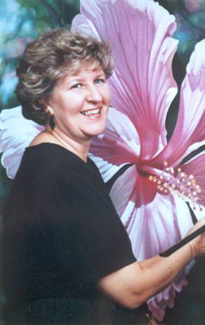 Her portraits represent a kaleidoscopic mixture of colors, shapes, and textures that cause her flowers to leap off the canvas, allowing the viewer to experience her art on both emotional and intellectual levels. 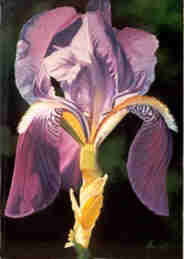 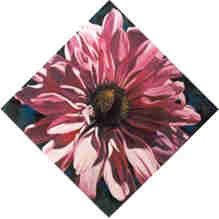 Her attention to detail is displayed in the subtle tonal qualities of each petal she paints. 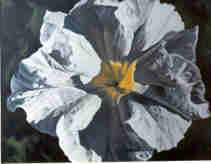 When Marge captures the transparency of Petunias, or the velvet-like softness of Gladiolas, or the feel and texture of the veins and wrinkles of Hollyhocks, she has invited the viewer into her special world. 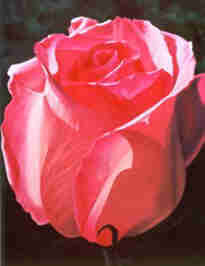 She has created an elusive moment by unifying the coexisting elements of light … shadow ... color ... beauty.